Your social media profile is awash with new pictures. The monthly office Happy Hour felt like a photo-shoot at certain points because everyone was snapping pictures with their phones. Amid the crowd of happy faces, the only smile you notice is your own. This isn’t because you are particularly infatuated with yourself, but you’re noticing how crooked your teeth are. The perspective of seeing them in a photo really makes them stand out. You’d like to get them straightened, but you can’t imagine looking at picture after picture of yourself with a mouth full of braces. Aren’t they the most reliable solution though? Dr. Ashlee Weber, your orthodontist in Kansas City, wants you to know what your options are for braces. One of the most tried and true orthodontic treatments are metal braces. This is because they are guaranteed to straighten teeth if used properly. They are also extremely durable because they are made of stainless steel. This tends to make them the most viable option for children and young teens. They work by using a system of brackets and wires. A bracket is attached to the front of each tooth, and a wire is used to connect them along each arch of teeth, top and bottom. 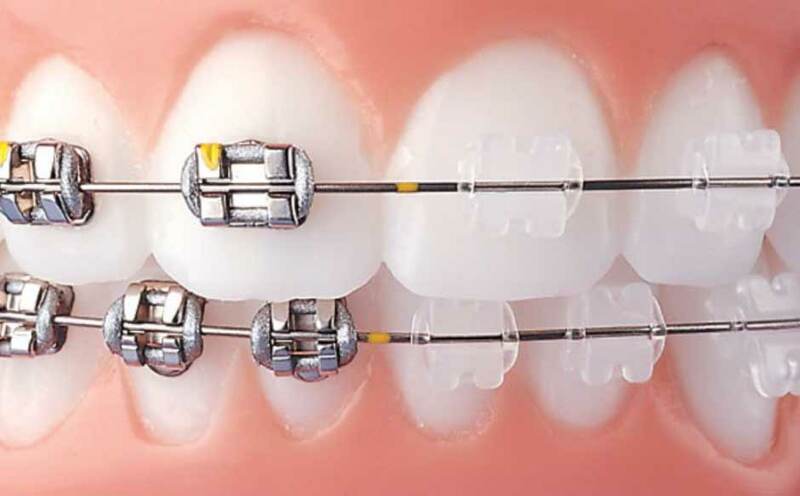 Small colored rubber bands, or ligatures, are placed on each bracket in order to hold these wires in place. As the teeth move, you will need to visit Weber Orthodontics about once a month for these wires to be adjusted. Treatment can last anywhere from 6-30 months depending on the state of your teeth. 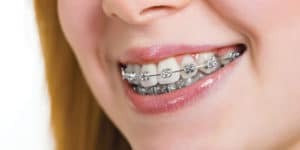 Traditional braces have gotten a dubious reputation over the years because of the effect they can have on your appearance. Thankfully, they have advanced, so the brackets are much smaller and much lighter weight than previously. If you are looking to straighten your teeth and think braces might be right for you, please come see us at Weber Orthodontics. That way we can give your teeth a thorough evaluation and see what option might best fit you. Straighter teeth are easier than ever to get these days, so give us a call so we can help you.